What’s So Digital About Literacy Anyway? The reality though is that digital literacy is many different things to many different people and is constantly changing. 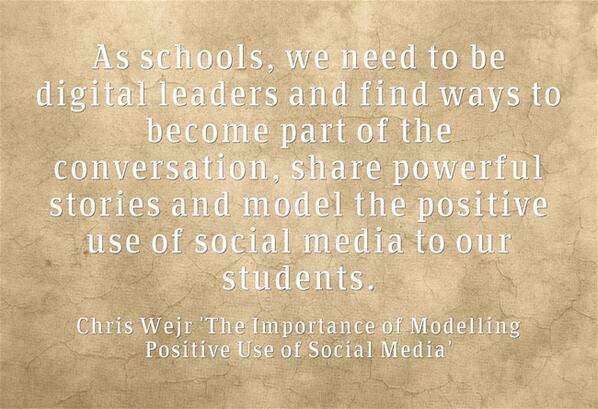 +Doug Belshaw elaborates on this in his thesis on digital literac(ies). The best way, Belshaw suggests, of understanding digital literacy as an ever evolving set of subjective practises defined by contexts, rather than as some sort of stagnant concept. The most important thing is often the actual “process of coming up with a definition of what constitutes ‘digital literacies’”, rather than the actual definition itself. 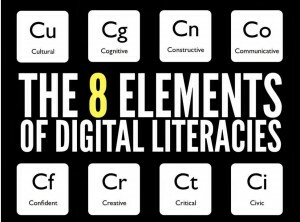 Associated with this, Belshaw identifies eight interrelated elements which each play their part when it comes to digital literacies. These are not things in themselves, nor do they all come into play with each example, rather it is all dependant on context. For a more in-depth explanation of the each of the elements, see Belshaw’s slideshare. The first place that most people go when searching for information is the search engine. In addition to simply typing in the request as is, there are many ways of emphasing words or using various filters to focus these searches and requests. For a great resource in regards to searching online, see +Richard Lambert‘s ‘Digital Search Progression of Skills‘. On the flip side, a lot of content we find online, in some way of another, actually finds us. The most obvious place we go to are sites and spaces that we trust. This includes news sites of one kind or another, often news of a specific nature. In addition to this, there are those sites and applications which help find information for us based on our history and preferences. This can include ‘following’ or ‘liking’ other users or pages on such sites as Feedly, Pinterest, Edmodo, Educlipper Youtube, Diigo, Google+ and Twitter, or news aggregation applications, such as Flipboard and Zite, which adjust the content based on your choices and interests. Services such as IFTTT and brower add-ons also make it easier to capture this content. Associated with capturing online content is the act of organising it. Sites like Diigo, Educlipper, Youtube, Pinterest, Evernote and Delicious allow for the curation of content. This often involves categorising and tagging, as well as adding annotations and comments. Whether it be commenting on a blog, quoting with an image, liking a post, sharing a link, there are many ways to contribute ideas and information to keep the conversation going. I love reading books, but I also love reading online. In my view, we don’t give enough opportunity for this in schools. As +George Couros suggests, “Whatever you are looking for online, you will find it.” I think that the big challenge is what we do with dearth of information, how we choose it, how we sort it, how we manage it, that matters in the 21st century. Instead of getting students to always close their laptops or put their iPads to sleep during reading time, maybe we need to give more opportunity for them to develop their digital literacy, to stumble upon new ideas and information, to critic it, to share it and to remix it. What’s So Digital About Literacy Anyway? by Aaron Davis is licensed under a Creative Commons Attribution-ShareAlike 4.0 International License.